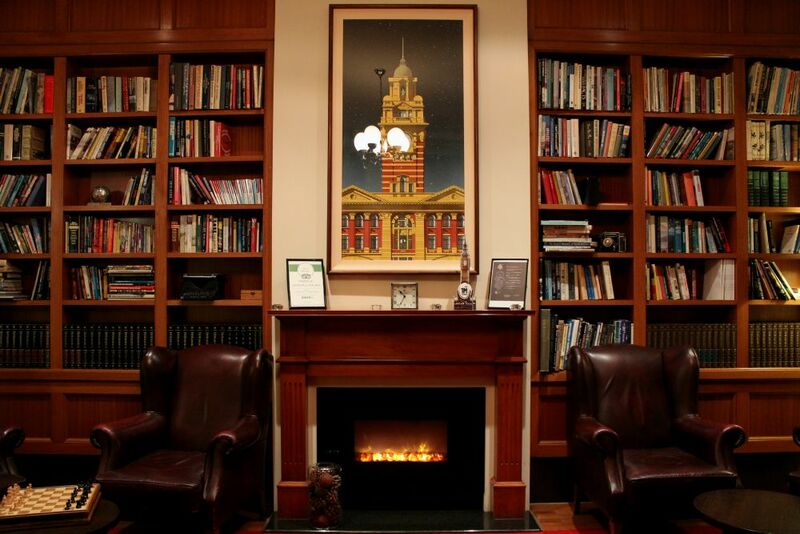 Melbourne has some truly stunning historic hotels. The Grand Hotel is one hotel which is definitely that. 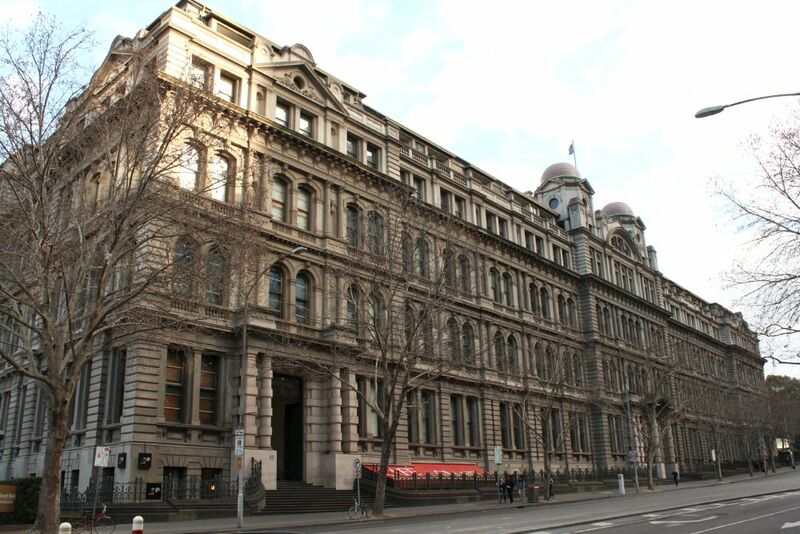 Built in 1891, it once housed the offices of the Victorian Railway Commission, and stands centrally located within the Southbank area; at the Flinders Street and Spencer Street intersection. 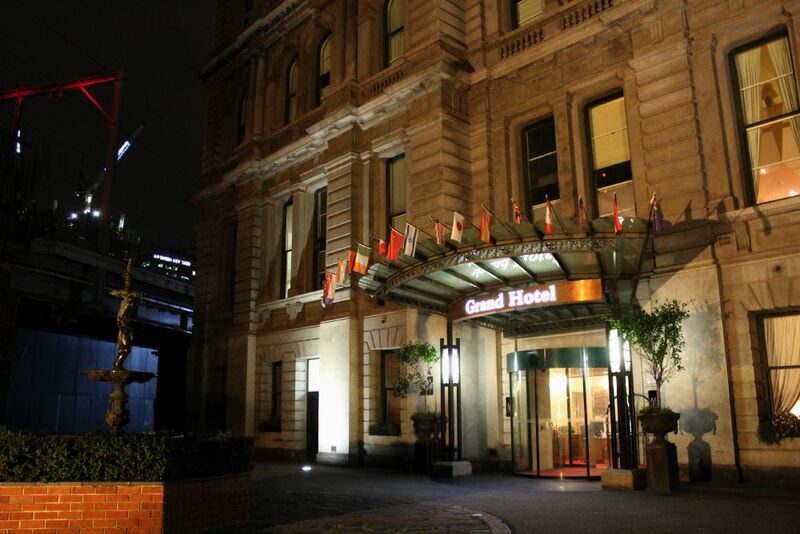 The Grand Hotel truly lives up to its name in both its grandeur and style, with only one stay needed here to know it. 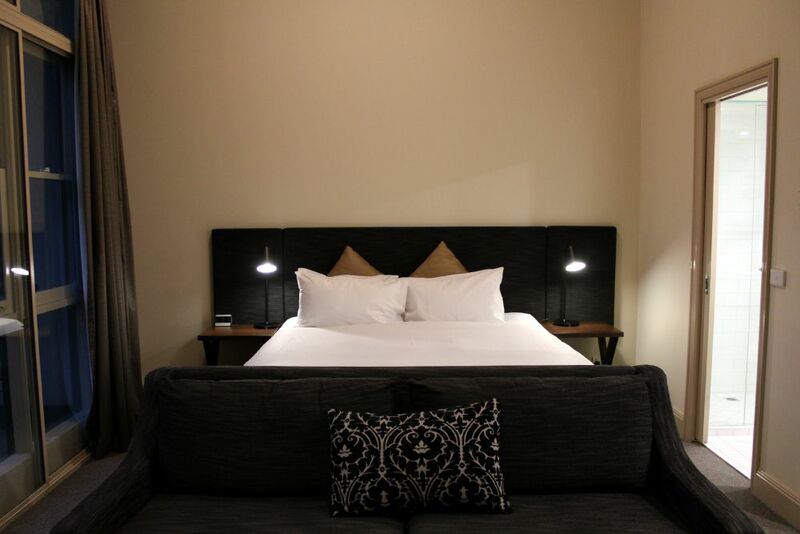 It is a hotel I have wanted to stay in for many years; and upon finally being back in Australia, it was the first on my list of places to try out in Melbourne. Planning a girl’s night out with my mum in mid-July, we booked a stay here for a Thursday night and had a really lovely stay in the city. However, it was made all the more better by having such an amazing hotel to stay in; beginning right from the personal check in desks in the foyer. 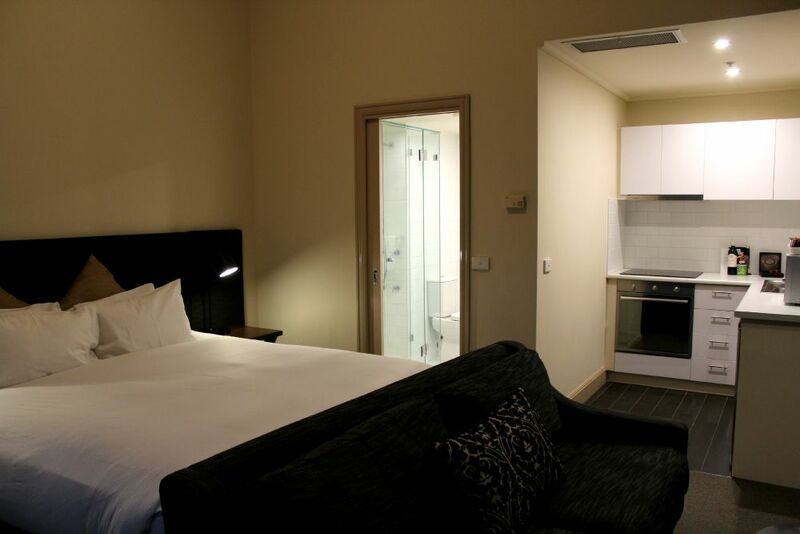 Having frequented many hotels in Melbourne, and all over the world in the past year; I have stayed in many amazing accommodations. With the Grand Hotel, the first thing we were impressed with was how big the room actually was. Our room was a Studio Apartment, it had a full kitchen and lounge area, along with a king-sized bed and above all, it was decorated quite nicely in contemporary furnishings. The room was small enough to maintain its coziness; but it was also large enough that between the two of us, we never got in each others way. We could have easily stayed in this room for more than one night for sure. It was that comfortable and so was the bed! 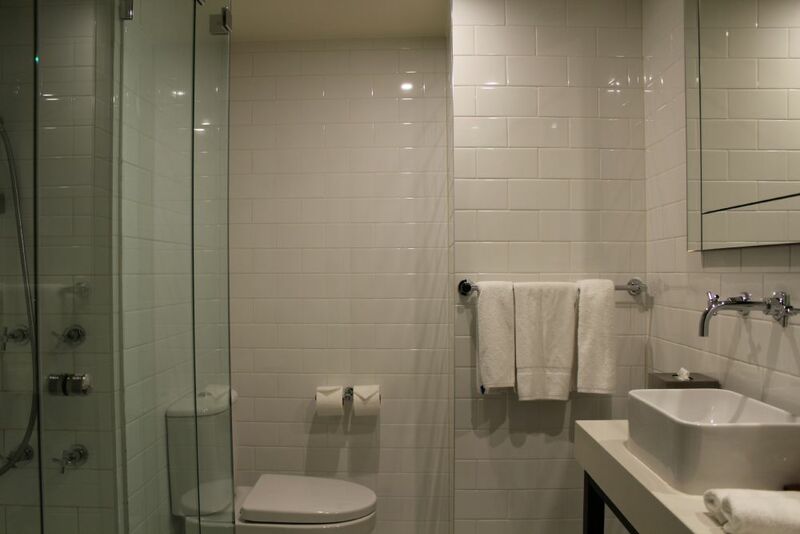 The bathroom was also modern and spacious. Our room had an outdoor balcony, as it was located on the top floor, and this really added to the charm of the stay. Being able to enjoy the ambiance of the sparkling city and its sounds was just lovely. The view of Crown Casino and even the Rialto all lit up, made for a really lovely view, even on a Winter’s night. Being on Spencer Street means there is quite a bit of train noise and road traffic, as this is one of the major roads in the city. However, the street noise was not a really an issue for us. All hotel rooms have noise when they sit on a main street; and whilst you could hear it from time to time, it wasn’t anything that kept us awake or bothered us in any major way. 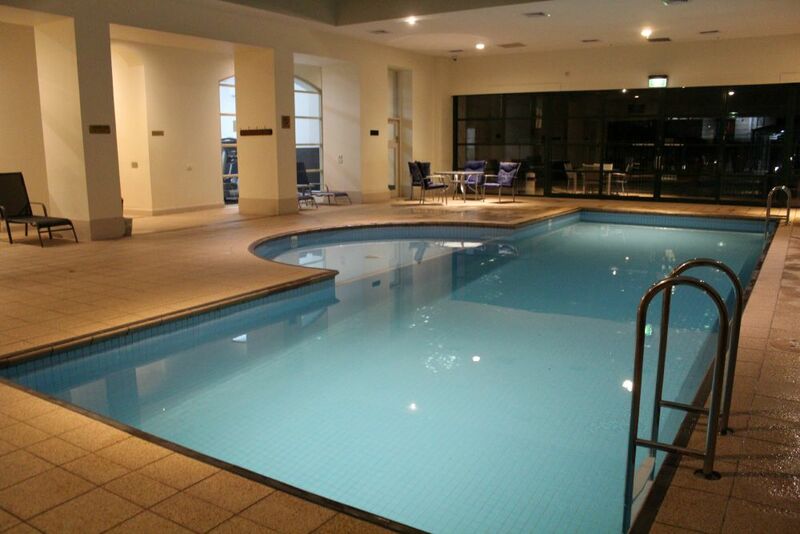 The Grand Hotel offers guests the opportunity to use its indoor pool, sauna and spa, with a fitness center attached, allowing them to relax a little during their stay. The garden courtyard is also quite lovely to walk through. We would have used these during our stay, except we had a jam packed itinerary. If there were a few stand out features of this hotel, which sets it apart from other accommodations in the city, it would be these: the beautiful hallways; the cozy sitting areas in the lobby; and of course the Grand Staircase which is located in the residential wing, and is truly the highlight of staying here. The hallways leading to the guest rooms, remind you that your experience is special here. It took me back to my accommodations in Europe, like Budapest; where old world charm is always on show; with high ceilings, wide walkways and chandelier lights hanging along the length of it. 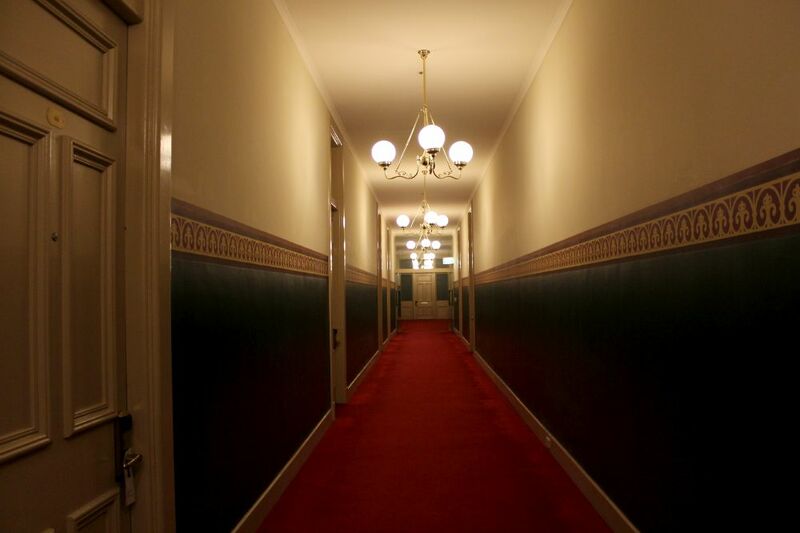 Walking these hallways adds history to your stay here, making you feel that you have truly entered old-world Melbourne charm, and not the 21st Century version of it. The sitting area at the entrance of the Grand Hotel, which is next to the RAB restaurant & bar is also quite charming, even though it isn’t very large in size. 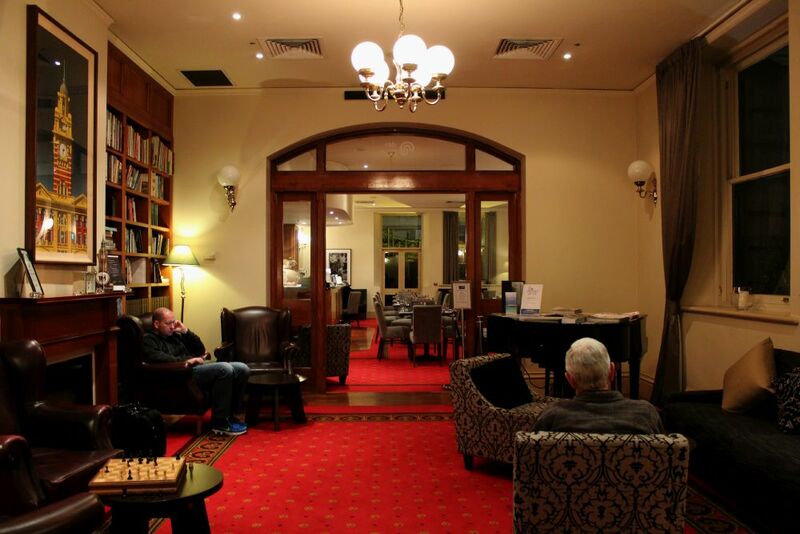 On a cold Winter’s night, sitting by the fireplace and having a game of chess, or reading a book or publication from the variety on offer is very relaxing. You could easily sit here for an hour or two before heading off to bed. 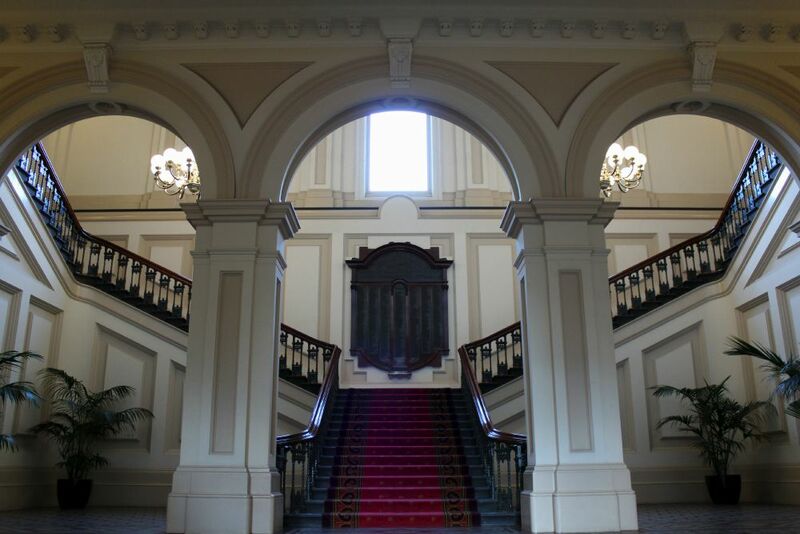 The Grand staircase however, is the real treat and one which is best seen during the day. As the staircase is not located in the hotel area of the Grand Hotel, but the residential area; you will need a hotel employee to direct you to the staircase. 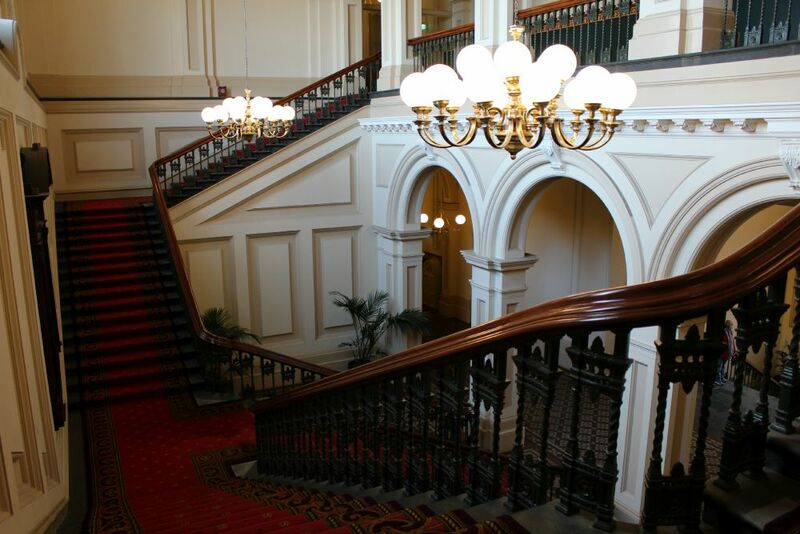 The staircase is exquisite, and easily takes anyone back in time to the 1900s. It is a beautifully designed piece that feels akin to the grand staircase that was on board the Titanic. It is truly stunning to look at, and one can truly spend all day sitting here just looking at it. It’s that good. If you are looking for a hotel to remember, then this is definitely the place to stay. 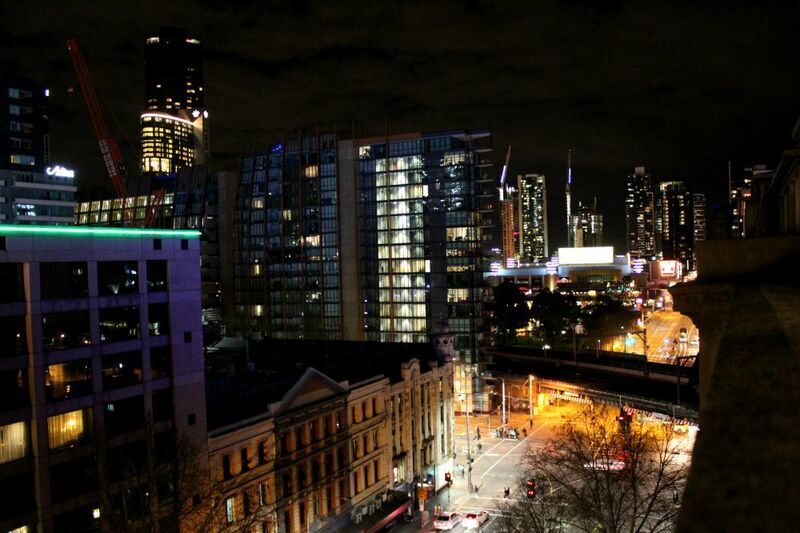 It is the grandest experience to have in Melbourne. We LOVED every minute of it, and can’t wait to be back for another stay! It really is! If you get to Melbourne this should def be on your list to stay in. Such a pretty and historic hotel!